Nominated for The Joe Allen Best West End Debut Award for his performance in The Jungle at the Playhouse Theatre. 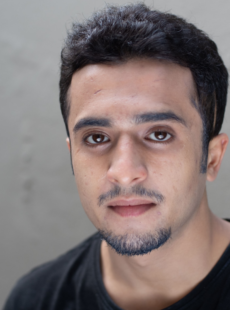 Mohammad made his stage debut in Boy (Almeida). He is currently finishing an off Broadway run of The Jungle which started at the Young Vic. Film includes: Fighting With My Family, City of Tiny Lights.